8.9" x 10.1" stitched on 14 count. 6.9" x 7.8" stitched on 18 count. 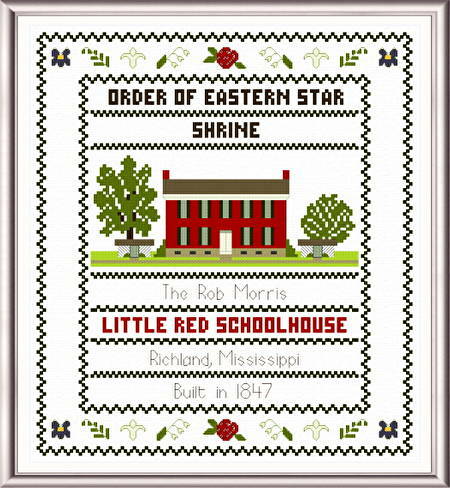 Little Red Schoolhouse cross stitch pattern... Eureka Masonic College, at Richland, Mississippi, lovingly called "The Little Red Schoolhouse" is preserved by the Grand Chapter of Mississippi, in honor of the Architect and Builder Dr. Robert Morris.